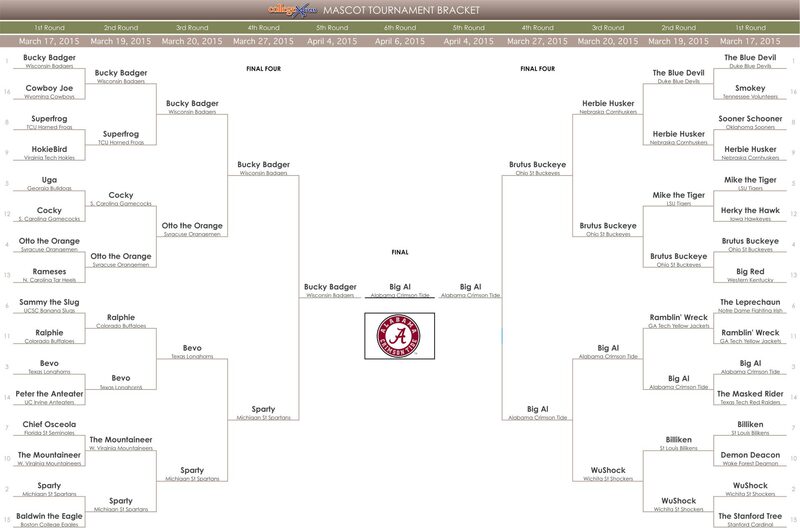 Best College Mascots Bracket 5th Round Results: The Winner! 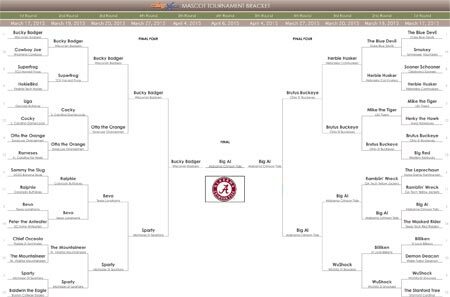 So it’s come to this, the mischievous Bucky Badger (University of Wisconsin Badgers) versus the loveable Big Al (University of Alabama Crimson Tide). It’s hard not to be totally charmed by Bucky’s antics. It’s hard not to want to cuddle the bejesus out of Big Al. This was a tough decision. Like, where you want to go for your birthday dinner tough. Both mascots are undoubtedly beloved. The students who portray them each year train hard and work harder to entertain thousands of people, whether it’s a ginormous game day crowd or a library of kindergarteners or even an alumni-filled wedding. When we asked our social media followers who they’d like to see win, Big Al’s people really came out to support him. Of course, maybe Bucky and his fans are too busy gearing up for the “real” March Madness game tonight (#Respect), and that’s why we didn’t hear much ruckus from them on social media. Big Al is the people’s choice. 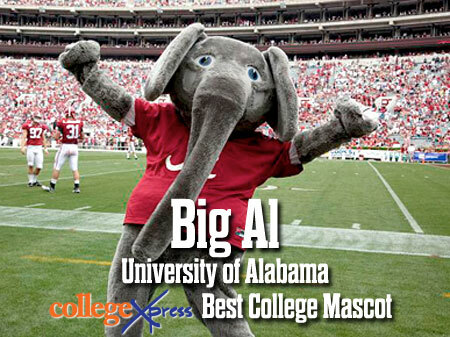 And he’s our choice, toppling 31 other legendary mascots to claim the title of the CollegeXpress Best College Mascot. Congratulations, Big Al and Crimson Tide fans everywhere! 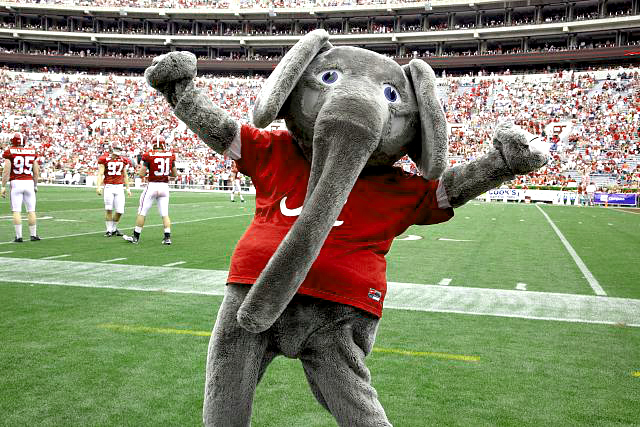 Fun fact: the University of Alabama used to keep a live elephant mascot back in the 1940s. They soon realized, however, that it’s not so easy maintain a pachyderm. Then when a student tried dressing up as an elephant, legendary Coach "Bear" Bryant initially put the kibosh on the idea, because he thought elephants were too slow and clumsy to represent big scary football players. But it became obvious, even back then, that the people loved their elephant mascot and wanted him to stay, so the Coach relented in the late 1970s, with Big Al’s first appearance in 1979. The rest is history...and also well documented in our previous mascot bracket matchups (see below).